OLD PARKED CARS. 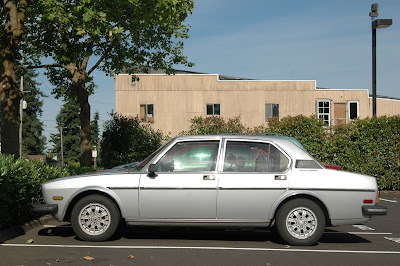 : 1979 Alfa Romeo Sport Sedan. 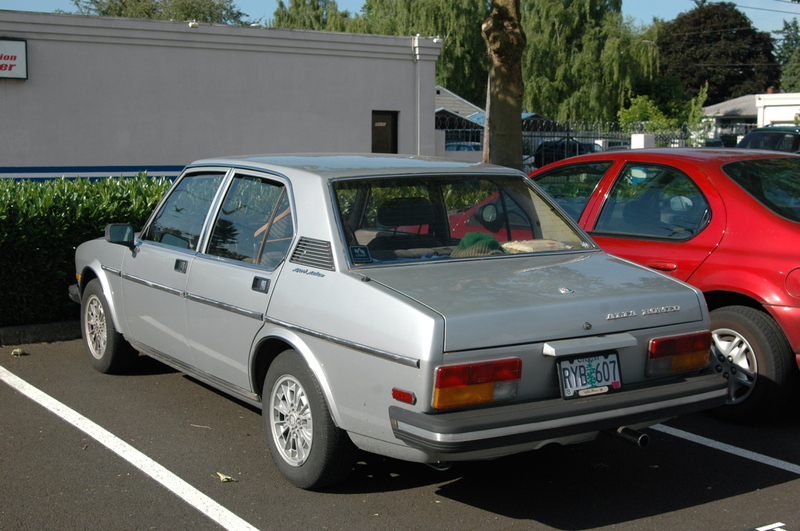 1979 Alfa Romeo Sport Sedan. Wow, do not think I saw one of these even at Alfa track day @ PIR .. what a gem. Quintessential late 70s .. reminds me much of my own car, of a manufacturer that collaborated with Alfa not long after..
Hit me with a C pillar closeup! I need to see that emblem. Great find, love these, and they're insanely rare in the US, especially in this condition. 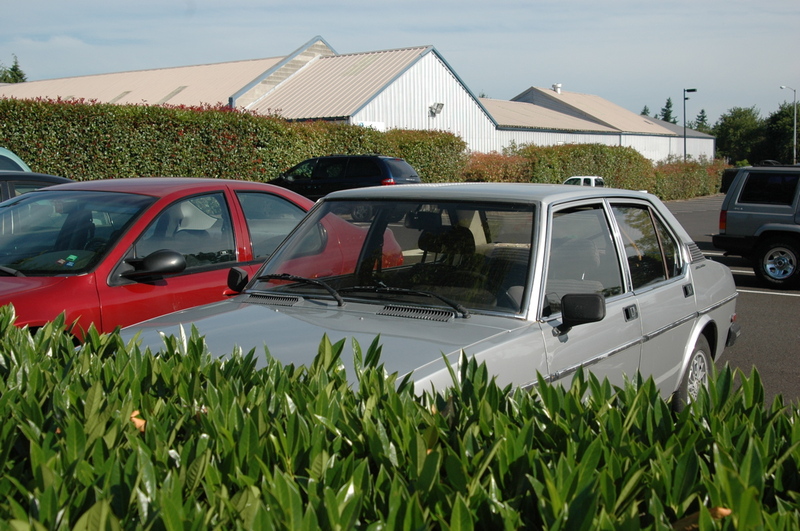 Side profile looks like a non-hatch Saab 99 with a somewhat extended rear. There's a white one in Ferris Bueller's Day Off that Cameron's character sits in but doesn't drive. I can't really tell how big this is... would it be competing with a bmw 5 series? Cool and rare alternative if it is. Looks in very nice shape. Love the slightly strange trunk lid shape...awesome! 99 is what I was getting at .. tho actually, this Alfa inspires thoughts of the early Audi 4000 also. Probably no less reliable. And sorry for the double-posts, your capcha crap does it for me. Cool car. I don't remember ever seeing one. I see more Swedish than Japanese, especially with the C-pillar jazz. Nice find Tony! 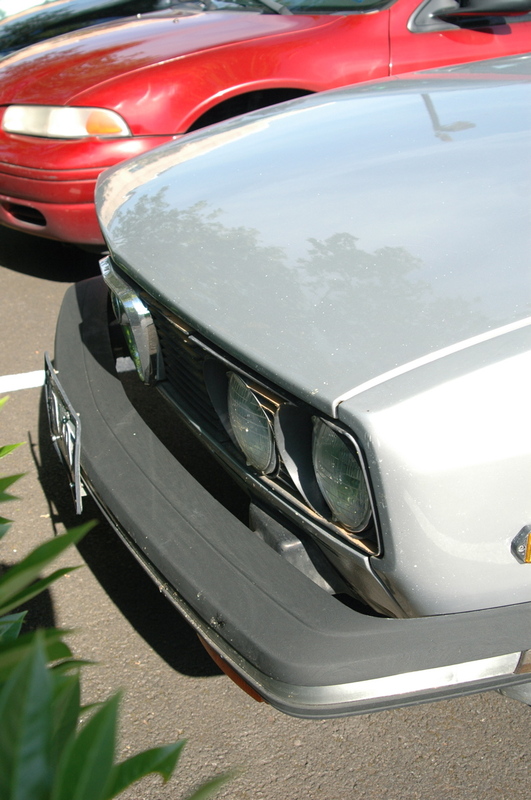 These ones were named Alfetta in Europe. 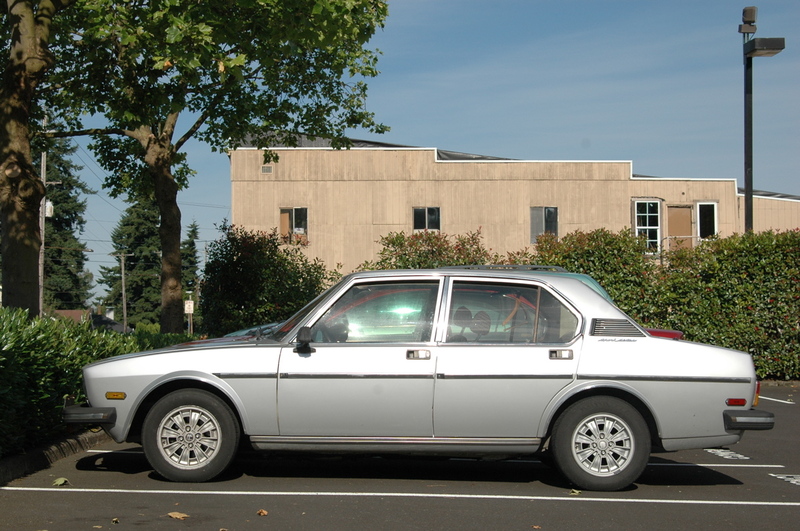 By the way, does anybody know about the existence of the bigger model Alfa 6 in the US ? I'd never heard of the Alfa 6 before, but they look fantastic! Not imported to the USA, but I'm confident that we'll find one someday.